Obtain the education you deserve. If not now, when? You’ve worked hard throughout your lifetime, and you’ve decided to improve your life and the lives of your family. Education is the answer, and it’s never too late to get the education you deserve. With a certificate or an associate degree from Cleveland State, you can qualify for a higher-paying job. 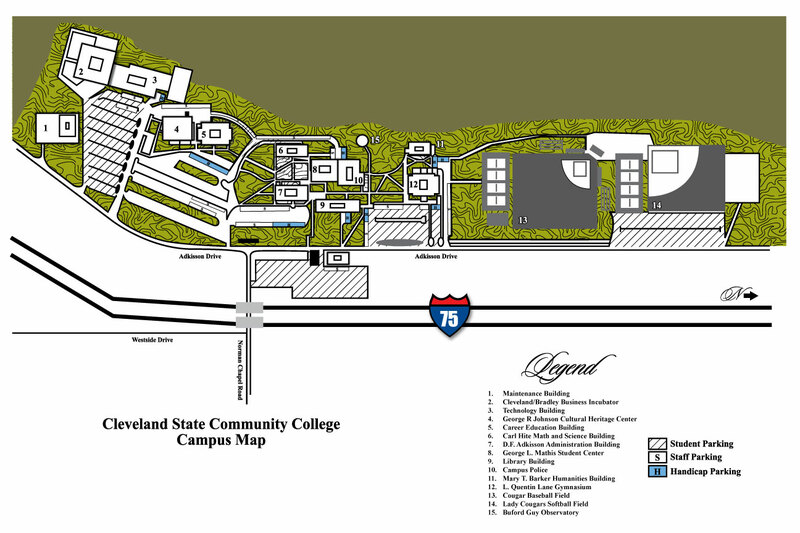 Cleveland State Community College provides programs and times that fit your busy schedule. Whether you’re changing careers or taking classes to advance your current career, Cleveland State can help! We are your community college. We are your Cleveland State! Thanks to the state leadership in Tennessee, most adult students who do not have a degree or certificate are eligible to receive a Tennessee Reconnect Scholarship. This scholarship covers most tuition and fees for adult students who meet the qualifications. Personal finances should not be a stumbling block that keeps you from earning a degree. Cleveland State cares about its students and their success. Providing a team of caring professionals who aid adult students from start to finish--from the time they are accepted until they walk across the stage as graduates, this is just one of the ways the college shows it cares. Have questions and don’t know who to turn to? Hit a bump in the road and aren’t sure how to get over it? The Success Center is the place to turn for assistance and guidance. At Cleveland State you will find tuition rates that are lower than most other colleges in the region. Couple the affordable rates with the Scholarships that are available from Cleveland State from the state of Tennessee, visit tn.gov/collegepays. You can also visit www.finaid.org/otheraid/nontraditional YOUR future starts today! The Coordinator of Career Planning & Placement can assist students with deciding on a major and assist students and graduates with finding part-time or full-time employment opportunities by utilizing our Job Board. Students can meet with a career counselor, take a variety of career assessments through Focus Career Assessment , and explore occupational information. Additionally, students can receive help with writing a resume, preparing for an interview, and connecting with local employers. The Counseling & Career Services Center includes a resource center that provides individualized assistance with the process of completing and filing the necessary documents to access VA Educational Benefits. Our School Certifying Official is responsible for enrollment verification, change of status, monitoring progress and certifying courses for our veteran students. Individualized assistance is available for any students who wish to access their VA Educational Benefits. Through prior learning assessment, you might just find that you can earn a number of credits for your life experiences and time spent at your job. It is learning and knowledge students acquire while living their lives, such as by working, participating in employer training programs, serving in the military, studying independently, volunteering or doing community service, and studying open source courseware. PLA is a means of evaluating what a student already knows at the college level, derived from these experiences, which can determine competencies for advanced standing toward further education or training and/or college credit. The Testing Center on the main campus is located in room 116 of the Student Center Building and can be reached at (423) 473-2372. There is also a Testing Center located at our Athens site and it can be reached at (423) 745-8486. Both testing centers administer a wide variety of tests for students and community members. Examples include Accuplacer placement tests, HiSET high school equivalency tests, CLEP, Certiport Microsoft Office Certifications, Kaplan Nursing Admission tests, ETS Proficiency Profile exit tests, Correspondence exams, and individual course exams. All tests require an appointment (at least 12 hours in advance) and a photo ID. Go to http://mycs.cc/testing to schedule an exam. Students enrolled in courses at Cleveland State Community College (CSCC) are encouraged to take advantage of FREE tutoring available at the main campus in Cleveland and at the Athens Center. In addition to offering one-on-one tutoring on campus, there is also FREE online tutoring each semester with live, one-to-one online tutors that are available 24/7! The Tutoring & Learning Center (TLC) on the main campus is located in Room L-209 in the Library, and the TLC serves as the main "hub" for tutoring needs. Tutoring is provided on a first-come, first-serve basis. No appointment is needed. Traditional online instruction provides accessibility to courses 24 hours a day through the Internet utilizing the statewide learning management system called myCS Courses. The ASO is a student organization that strives to connect nontraditional students with one another. Students join the ASO to find a social group, engaging and connecting with other nontraditional students like themselves. This group typically organizes lunches, meetings, and various activities. This organization is definitely for those students who are looking for a way to enhance their college experience within the constraints of a busy life schedule.